As chairman of the Division of Chemistry and Chemical Engineering at the California Institute of Technology, Linus Pauling was tasked with focusing, administratively, on the big picture while also maintaining and protecting ongoing research. This was especially so with confidential work being conducted during the Second World War. One early incident that required Pauling’s input came about near the end of Fall 1942 when Foster Strong, a physics instructor, observed an undergraduate student using a master key to enter unauthorized rooms in the Crellin Laboratory. Upon catching him, Strong broke the key while giving the student, according to Pauling’s subsequent report, a “severe lecture about the seriousness of the offense.” As it turned out, the lecture did not take. When confronted by Pauling, the student originally said that he had copied another student’s key to obtain entry. Later he admitted that this was a lie, and that he had originally had two keys made. Being in possession of an unauthorized master key was, in Pauling’s judgement, a “serious offence” because of the “confidential nature of some of the work being done” at the labs as part of the war effort. Pauling directed that the student no longer work in the Crellin facility any more. Just over a month later, Swingle found the Crellin stockroom unlocked on a Monday morning, despite having locked the door on her way out the previous Saturday. Upon inspection, she found that sixty liters of an anesthetic, absolute diethyl ether, and 150g of vanillin, an extract of vanilla, were missing. A few weeks later, Swingle found two keys left on a table by the stockroom; one would permit entry into the room. At the next division council meeting, it was decided that this series of events was serious enough as to merit the hire of a security guard to keep an eye on both Gates and Crellin during nights and weekends. It was also decided that identification cards would be issued to those with clearance to access the building after hours. Master keys would be restricted to faculty members only, and the provision of additional master keys to others would be up to Pauling. Elizabeth Swingle, along with two other women, had their master key privileges revoked. At the beginning of June, the Institute also came to a decision on a just punishment for the undergraduate whose activities had caused such concern. It was found that the student had violated Caltechs honor system and that he would be placed on disciplinary probation for the remainder of his time as an undergraduate. This meant that he could not hold elected office or work on campus. Three days after the decision had been rendered, Swingle reported to Pauling that someone had left the stockroom a mess. “Some chemical had been spilled on my desk leaving the finish injured,” she wrote. In addition, “there was a yellow colored chemical on the floor, in the waste paper basket, and on two towels.” Upon further examination, Swingle determined that the yellow chemical was quinone, and subsequently found that 100 grams of the substance was missing from the stockroom’s inventory. Pauling asked around, inquiring if any research groups had been using quinone and if any lab workers may have removed it without filling out a charge slip. None of the colleagues with whom he inquired were using the chemical at the time. By July the ID badge system had been put into place, restricting access to Gates and Crellin between 6:00 p.m. and 7:45 a.m. on weekdays, and between 1:00 p.m. Saturday and 7:45 a.m. Monday. A year passed without incident. Then, in 1944, Biochemistry professor Arie Haagen-Smit saw a research assistant for the NDRC-Chem-13 project enter a laboratory in the Kerckhoff basement where confidential and secret war work was being carried out. Haagen-Smit confronted the researcher and asked how he got in. He replied that there were “a number of keys around which open practically all the doors on campus.” A friend who was a graduate student in mathematics had given him the key to see if there was any equipment in the restricted lab that he could use for his research in NDRC-Chem-13. In response, Pauling again directed that limitations be placed on master keys and the division encountered little trouble thereafter. As World War II came to an end, the division recognized a pressing need to reassess its graduate offerings, which had been rapidly updated amidst the pressure to meet wartime demands. One area that had suffered as a result of this update was organic chemistry, a point that was emphasized to Pauling by his colleague Edwin Buchman. Noting that there was a lack of instruction and organization when it came to graduate training in organic chemistry, Buchman requested that Pauling form a committee to define policies around research and teaching in the division. Pauling also worked beyond the division level to update graduate programs across the Institute through his committee assignments. A member and, on occasion, the acting chair of the Graduate Committee on Post-War Policies, Pauling also served on the Faculty Board and Curriculum Committee. During one meeting, Pauling became especially intrigued by physicist E.C. Watson’s idea that Caltech accelerate its graduate work through the implementation of new teaching methods. By doing so, Watson saw the potential for Caltech to repeat its successes from the 1920s, the decade during which they had initiated their current system, becoming an “excellent graduate school” frequently “copied by other technical schools” in the process. On a practical level, this would mean dropping applied courses for which there had been an urgent deman during the war, such as industrial design. Though expressed with the intention that they be applied across the Institute, Watson’s ideas lined up well with what Pauling had in mind for the division that he oversaw. Another component of the graduate program requiring scrutiny was Caltech’s masters degree offerings. Differing from many other technical institutes, Caltech’s Master of Science degree was essentially a continuation of undergraduate work, with the degree awarded following the completion of a fifth year. To attract students to the program, Pauling proposed implementing a scholarship program similar to that offered by the Massachusetts Institute of Technology, which covered tuition and provided a stipend of between $700 to $1,000 for eight months of study. Much later, in the spring of 1953, Pauling suggested further expanding the program by lowering a barrier to entry. Pauling’s idea was that Caltech treat its undergraduate seniors as first year graduate students, thus allowing them to focus more on research and to gain entry to laboratory space. As part of their fifth year, master’s degree-seeking students at Caltech were required to take one course in the humanities: an introductory survey of English literature, history, philosophy, or economics. During a December 1944 meeting of the Graduate Committee on Post-War Policies in which he was Acting Chair, Pauling pointed out that the addition of a humanities requirement had been made in 1928 as a result of faculty action and was “not a part of the general policies of the Institute as expressed by the Trustees.” Pauling’s comments came on the heels of a previous committee recommendation that the Board of Trustees “abolish” the humanities requirement for the master’s degree. The humanities requirement was brought up again two weeks later, but no decision could be reached. At the meeting that followed, Pauling put forth an alternative idea — that the Institute consider adding courses in the history and philosophy of science. The committee agreed enough with this sentiment to recommend that the Division of Humanities look into hiring someone in the field. A few years, Caltech brought aboard Rodman W. Paul, whose research interests were in the histories of mining and agriculture. Student enthusiasm for coursework of this kind was such that Caltech eventually created an entire program in the history and philosophy of science. Members of the Division of Chemistry and Chemical Engineering seated together at a picnic, 1941. Pauling, the division chair, is at far right. In the early 1940s, a $300,000 biochemistry grant provided by the Rockefeller Foundation set the tone for research in the Division of Chemistry and Chemical Engineering at the California Institute of Technology, but it was not the only source of funds that the foundation was providing. In addition to the large biochemistry grant, the Rockefeller board approved smaller supplementary awards to support a collection of promising immunological projects being pursued by Caltech faculty. This secondary line of funding gradually made a significant impact. In 1940, geneticist A. H. Sturtevant received the first of the immunology grants, a three-year, $36,000 award. A year later, Linus Pauling was provided with his own three-year, $33,000 grant to support a separate track of immunological research being housed in the chemistry division. Prior to the award being finalized, Rockefeller administrator Warren Weaver suggested that Pauling ask for an additional $20,000 for the second year alone, a request that was quickly approved. As time passed and research in immunochemistry at Caltech grew, several undergraduate and graduate students came to Pasadena, supported by the Rockefeller funds. Well aware of its growing strength, Pauling pushed for immunology to be institutionalized with its own administrative apparatus and advocated that Dan Campbell be placed in charge. Three years later, as Sturtevant’s immunology grant expired, he and Pauling decided to collaborate on a joint proposal that would combine the work being pursued by the biology and chemistry divisions at Caltech. This new grant would provide an $18,000 supplement to the $11,000 that remained from the last year of Pauling’s immunology grant. The work was also receiving material support from the military, and the Office of Scientific Research and Development expressed its hopes that the project would continue after the war. The Rockefeller Foundation approved the joint request, and Pauling and Sturtevant began their collaboration. Frank Blair Hanson, who was overseeing the grant for the Rockefeller Foundation, recommended against the partnership for a very different reason. It was Hanson’s view that medical applications were imminent and that precautions against any commercial applications needed to be taken. In expressing this point of view, Hanson was protecting the foundation’s proprietary interest in the work and insuring that only Rockefeller scientists would be able to draw upon its data for future applications. A few years later, in the fall of 1944, Pauling took steps to clarify the division’s position on taking funds from – and working with – large companies, a conversation that would only intensify following the war. Pauling’s clarification arose as an action item following a meeting where division faculty had expressed concerns that industrial interests were being considered separately from basic questions in chemistry. Communicating on their behalf, Pauling noted that the faculty overwhelmingly preferred that no strings be attached to grants offered by large private interests. Towards the end of 1941, one such private interest, Shell Development Company, offered Pauling a position as its Director of Research. Pauling visited Shell in San Francisco to tour his potential new lab, but never seriously considered accepting the job. Instead, as he had done in the past, Pauling used the offer as leverage with his current employer. In November, Pauling wrote to J. F. M. Taylor at Shell, indicating that he was waiting for a counteroffer from the Institute that would convince him to stay. Ten days later, Pauling wrote to Taylor once more, saying this time that he would decline Shell’s proposal. In explaining his reasoning, Pauling noted that he likely would have accepted the offer were he earlier in his career, but that now “I have now gone too deeply into fundamental science, including the biological applications of chemistry, to tear myself away.” It appears that the promise of a pay increase may have also helped Pauling with his decision, as Caltech’s Board of Trustees agreed to raise his annual salary from $9,000 to $10,500 a little over a month later. With Pauling once again firmly in place as division head, he began to focus more intently on maintaining a balance between the Rockefeller-funded biochemical and immunological work, and the new obligations ushered in by the onset of war. In January 1942, Weaver checked in with Pauling, specifically to see if those new responsibilities were interfering with the biochemical work. Hanson also wrote, asking the same question with regards to the immunological program. Pauling replied that, despite losing two graduate students to military service, the activities funded by the grants had remained largely unaffected. There was, however, the potential that the division might lose more student assistants in the near future. The immunological work faced a new challenge when the War Production Board began limiting the division’s supplies. Pauling contacted Frank Blair Hanson to communicate this turn of events, and put forth the idea that they solicit a $1 contract from the Committee on Medical Research so that they could continue to have access to supplies. Pauling further explained that the work being carried out under the grant had become significant to the war, including a line of inquiry on the synthesis of quinine. Hanson agreed that it was a good idea to pursue the contract for the purposes outlined. Even with all of the distractions brought about by World War II, the Rockefeller-funded research at Caltech moved along briskly; so much so that it began to outpace its budget. The grant was originally set at $300,000 to be spread over at least five years, but for each of the first three years the chemistry and biology divisions had requested $70,000. When that request was repeated for the fourth year, Weaver warned Pauling that there would not be enough money left over to support the final year of the grant. Nonetheless, the Institute’s Board of Trustees approved an even larger request for year four – $75,000 – in part because Pauling provided assurances that the two divisions would not spend the complete budget due to an increased emphasis on war work. Pauling also told Weaver that the divisions would have no problems addressing his concerns. Buoyed by stable funding and a string of research successes, Pauling was inspired to formulate a broad-ranging and farsighted biochemical research program in the division that he led. In 1942, Pauling sent a draft of this vision to the Board of Trustees. Noting that no program of the sort existed on the West Coast, Pauling expressed his belief that Caltech could collaborate with the University of Southern California Medical School, the Huntington Memorial Hospital, the Good Hope Hospital and others to launch a “cooperative scientific attack” that drew on existing research in physics, chemistry, and biology. Pauling went so far as to put forth his idea for a small institute to start with, one that would be staffed by two researchers working on hypertension in existing facilities at Caltech at a cost of $15,000 a year. Eventually, Pauling hoped, this institute would grow in stature to the point where it would require its own building on the corner of campus. While the board did not approve Pauling’s plan, he continued to persist, advocating for it as a component of Caltech’s postwar plan. In 1952, the idea came to realization at last. The massive amount of attention being given to the application of chemical methods to biological subjects threatened to overshadow the chemical engineering branch of the Division of Chemistry and Chemical Engineering. But as with biochemical medical research, there was a lack of fundamental chemical engineering research being conducted on the West Coast. Recognizing this gap, faculty member B. H. Sage decided to stand up on behalf of his chemical engineering colleagues. on unit operations as the basic steps in the chemical engineering process, a topic that had dominated the previous fifteen years. Instead, chemical engineering faculty were now interested in analyzing unit operations themselves. Pauling listened to what Sage had to say and, the following year, began pushing for new courses in fundamentals of chemical engineering. But Sage’s new line of research would also require time and money, and resources were stretched in other directions. One source of funds was the Texas Company, now known as Texaco. Sage had helped to maintain a contract with the company that provided funding for investigations on the molecular weight of hydrocarbons in methane and other natural gases. This $20,000 annual award was up for renewal in June 1946, and communications with Texaco led Sage to understand that annual funding could be boosted to as much as $100,000 per year. The range of techniques the project would incorporate was also seen as an attractive foundation for exploring basic research in chemical engineering. However, Texaco’s patent requirements limited both publication opportunities as well as Sage’s time, and the division ultimately decided to recommend to the Board of Trustees that they not approve the contract unless Texaco allow the Caltech researchers’ findings to be disseminated. The division’s recommendation was also motivated by a secondary fear that the Texaco money could cause an imbalance in chemical engineering research within the division, privileging Texaco’s interests at the expense of the unit operations analyses that Sage wanted to pursue. Ultimately the division argued that, absent the Texaco contract, chemical engineering at Caltech might not be as well funded, but its researchers could follow their own interests more closely, and that this was a sacrifice worth making. The entry of the United States into the Second World War brought a shift in focus for the Division of Chemistry and Chemical Engineering at the California Institute of Technology. 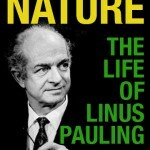 As its chair, Linus Pauling was tasked with staying on top of continual staff changes, a student population that had shifted away from pure science in favor of engineering, and an “abnormally low budget” of $2,500 for supplies. The war also prompted a revamp of Pauling’s own research agenda towards war-time imperatives like explosives, propellants, and medicine; a shift that was reflected across the division. Some of Pauling’s government contracts also required him to coordinate with researchers across the country. One such individual was Villiers W. Meloche at the University of Wisconsin, Madison, with whom Pauling worked to determine the age and stability of diphenylamine compounds used in explosives. At one point, Meloche sent a researcher from his group to Pasadena to review some of their work in person, as their collaboration relied upon confidential details that could not be shared through the mail. One of Pauling’s main administrative priorities during this time was to track and inform the draft status of all of his division’s researchers, be they graduate students or post-docs. Guidance to this effect was provided by W.V. Houston, who was Acting Dean of the Graduate School at Caltech. Houston informed all of the Institute’s division chairs that they would need to inquire into the draft status of each graduate assistant and teaching fellow working in their area, and that they should ask for deferments “for everybody who is to be depended upon for next year’s teaching.” For Pauling, this meant assessing the contributions of each potential draftee. To do so, Pauling began by creating a form letter for those eligible for deferment. This letter was meant to influence the perspective of local draft boards by outlining the reasons why researchers in the division should be given deferred status. In addition to the boilerplate contained in each letter, Pauling provided his own tailored thoughts on the work that each individual was conducting, once again for the benefit of the draft board’s review. As he compiled his comments for a growing number of students, Pauling leaned heavily on the idea that “chemistry is one of the fields vital not only to the national interest but also to the national defense.” He often used this line to close his letters, including one written for Andrew Alm Benson, whom Pauling also described as “easily one of the more able of the men” who would likely receive his Ph.D. within a year. Six months later, Pauling requested an extension for Benson’s deferment to assure that he could continue teaching, as others were being diverted more and more to research in support of the war. Benson would go on to become a leading plant biochemist, spending his career at the Scripps Oceanography Marine Biology Research Division at the University of California, San Diego. While Pauling did his best to provide support to the researchers working in his division, it is important to note that he was not simply acting as a rubber stamp in his evaluation of those eligible for the draft. In the case of one master’s degree-seeking student, Pauling judged the individual’s work to be “satisfactory” and projected that he would “probably be a competent chemist.” But unlike most of the other letters, Pauling made no explicit call for deferment. Nonetheless, this student remained at Caltech throughout the war years and later built a career working to combat air pollution in southern California. Besides making sure that those working in the division remained there, Pauling also needed to bring in new employees. As chair, Pauling received many inquiries concerning possible appointments within the division. These inquiries were not always directly addressed to Pauling, but to other faculty who then passed them along. Pauling also commonly sought input from other faculty concerning aspiring applicants who might potentially work in their research area. Some of the researchers that were brought on board were former graduate students. Since many of these new hires were a bit rusty on matters related to current chemical research, Pauling arranged for them to attend weekly course lectures in organic chemistry led by Laszlo Zechmeister and others. Pauling requested that the Caltech Executive Council not charge these new hires for attending these lectures, since there was no need from them to earn credit as a result of their attendance. One especially notable applicant was Margaret Sinay. In a February 1944 letter written to Pauling, Sinay noted that her husband had recently been transferred to Los Angeles for work, and that she too was looking for a position in the area. Sinay described herself as an “analytical chemist with about 15 years experience in medical research and routine biochemistry” who had been a senior chemist at the Vick Chemical Company’s vitamin research laboratory. Pauling replied that the division might have an opening for a “war research job, in which analytical training would be useful,” and asked that Sinay come in for an interview once she and her husband had finished their move. What became of Sinay is unknown, but it is noteworthy that Pauling expressed an interest in bringing her aboard. While there were no formal policies in place at Caltech forbidding the hiring of women into technical positions, they were still not allowed to take courses at the Institute. World War II made something of a dent in these guidelines as Caltech began allowing women to attend no-credit night courses related to war work. None of these course were in chemistry, but the division began to receive a growing number of inquiries from women expressing a desire to study there. To each of these requests, Pauling was forced to reply that it was against Institute policy to admit women at any level, except for those involved in war work. Towards the end of the war, in October 1944, the Graduate Committee on Post-War Policies at Caltech discussed the possibility of admitting women as advanced degree candidates. These discussions ended up going nowhere. The possibility was brought up anew in 1948, and again it was set aside. Clearly, while the war ushered in many changes to the Division of Chemistry and Chemical Engineering, it did not change everything. Ken Hedberg and others onstage at Caltech, performing in the celebration held for Linus Pauling on the occasion of his receipt of the Nobel Chemistry Prize, December 1954. Once enrolled as a graduate student at the California Institute of Technology, Hedberg worked under Linus Pauling and a fellow doctoral candidate, C. Gardner Swain, on a study of the oxidation of leuco malachite green to form a dye called malachite green. The group published a paper on the subject at the conclusion of Swain’s tenure as a student. It was unusual for a PhD candidate rather than a professor to supervise another doctoral student, but Pauling suggested the arrangement because the only professor doing the kind of work that Hedberg was interested in at the time – chemical kinetics and mechanisms – had died the year before and not yet been replaced. Hedberg’s laboratory experience with Shell Development Company prepared him well for his studies, and proved especially useful to Swain, who had actually logged fewer lab hours than had Hedberg by that point. Ken also quickly discovered that the facilities at Caltech were not on the same level as those outfitted at Shell, and he soon realized that a major piece of his job would be to build basic instruments, an impediment that slowed progress significantly but was a simple fact of life in Pasadena (and that later came in very handy once Hedberg returned to Corvallis). After Swain left, Hedberg began to work with a young faculty member, Verner Schomaker, who had also studied under Pauling. Together, Hedberg and Schomaker launched an investigation of the structure of boron compounds, starting with diborane, which they determined to have a non-ethane-like structure. Ava Helen and Linus Pauling, 1948. As one might expect, Hedberg came to know Pauling well and retained many fond memories of their interactions at Caltech. Later in life, he recalled that Pauling was friendly and generally well-liked but that he tended to maintain more formal relationships with his students and colleagues rather than embracing casual relationships. By Hedberg’s recollection, Pauling was always referred to as “Dr. Pauling,” even though most of his colleagues were on a first-name basis with one another. Pauling also rarely attended the frequent parties that were a mainstay for most others in the division. Hedberg became trusted enough that he housesat for the Paulings several times and watched the Pauling children. He remembered in particular that Peter and Linda Pauling used to go around the chemistry department inviting everyone to come swim in the Pauling’s pool. The Pauling pool was a popular location, and was heavily used particularly when Dr. and Mrs. Pauling were out of town. Pauling also sometimes let his childhood friend Lloyd Jeffress stay in the house if he was on holiday in the area while the Paulings were away. In one such instance, Pauling had asked Hedberg to stay at the house with the kids, and had also invited Jeffress to stay at the same time but had neglected to let Hedberg know. It took Ken three days to realize that Jeffress was also living in the house because their schedules were so different. Jeffress, on holiday, was waking up long after Hedberg had left the house in the morning, and was otherwise staying out late or staying in his room. With a laugh, Hedberg recalled waking up late at night two nights in a row thinking he heard someone splashing in the pool, but deciding not to investigate further once he had confirmed that the kids were in bed. He only realized Jeffress was there when he walked into the kitchen one day and saw a strange man making breakfast. On another occasion, Hedberg was seated at his desk one Saturday morning when Pauling wandered into his office. Many of the Caltech graduate students were intimidated by Pauling, who often roamed the Gates and Crellin Laboratories in his slippers on Saturday mornings. In this instance Pauling sat down, put his feet up on Ken’s desk, and asked how things were going. Hedberg reported that all was well, and felt relieved when Pauling seemed about to leave without asking any probing questions. Pauling then noticed a keychain on Hedberg’s desk, which he picked up and looked at. The keychain consisted of a device with an eyepiece and lens containing a small photograph which could only be viewed by looking into the eyepiece against a strong light. The image that one then saw was of a naked girl standing on a large rock in the middle of a mountain stream. Pauling peered through the eyepiece for a moment and uttered a response that Hedberg delighted in retelling. “Hmmm,” he said, “Basalt,” and then walked out of the office. Shocked, Hedberg had to look through the device himself to notice the rock. Hedberg had initially planned to spend an extra year on his studies at Caltech before writing his thesis so that he would be able to work under Dr. Richard Badger, a renowned spectroscopist. Pauling suggested instead that Hedberg finish his thesis and get his degree, after which point he would make sure that Hedberg received a fellowship to stay on an extra year under Badger. Verner Schomaker was in Denmark at that time, supported by a Guggenheim Fellowship, so Hedberg’s work was actually being overseen by Robert Corey. He finished his degree and took his examination, and then found out that he had indeed been awarded a Noyes Fellowship to work with Badger for a year, learning spectroscopy and continuing his electron diffraction work. …Pauling walked into my office and said to me ‘Well, are you getting ready to go to Norway?’… I said ‘I didn’t know I was going.’ And he said ‘Well, the selection committee generally follows my recommendations.’ And then he turned and walked out. That was the total conversation we had on the issue. Shortly thereafter, Hedberg was informed that he had been awarded both a Fulbright and a Guggenheim fellowship to study in Norway. Meanwhile, Hedberg’s wife, who had initially planned to accompany him, dissolved their marriage shortly before they were scheduled to depart, so Ken went to Norway alone and with a considerable amount of funding in hand. Bastiansen met him upon his arrival, helped him find an apartment, and set him up with some recordings and a lesson book to help him learn the language. Ken’s Norwegian friends later came to be amused by him reciting his lessons to them because the way he talked reminded them of the rector of the university. It was very nice to have [Ken] here, and I should like to take the opportunity both on behalf of the institute and myself to emphasize how much we appreciated having him working at our laboratory. We are very grateful that you made it possible for him to come here and that you let him stay so long. There have been many foreigners at our institute during the last years, but no one has been of such a great value for our team as Ken… He is now really a kind of key man in electron diffraction. Oslo was the setting for an important moment in Hedberg’s personal life as well. Once Ken had settled in, Bastiansen introduced Hedberg to his research assistant, Lise Smedvik. Her ability to speak English well, even though she had never been to an Anglophone country, immediately impressed Hedberg. Later he ran in to her by chance at a symphony and they went out for a snack together afterwards. More dates quickly followed. In 1954, after a year in Norway, Hedberg’s fellowship was expired and he was obligated to return to the States. He and Lise had talked about getting married, but Hedberg had not felt ready because he was still reeling from the way his first marriage had ended. After arriving back in the U.S. he realized that he could not leave Lise behind, so he proposed to her. She accepted, and he returned to Norway that summer to be married. Their wedding took place in the Oslo City Hall and they remained together until Ken’s death earlier this year. Hedberg got along well with Lise’s family and remained deeply interested in Norwegian culture for the rest of his life. In time, he became fluent and literate in Norwegian and gave his lectures in Norwegian whenever he was invited to speak at a Norwegian university. After they were married, Lise decided to move to the U.S. with her husband, but encountered difficulty in obtaining a visa. After weeks of waiting and not hearing back from the American embassy, Hedberg learned that they had not yet processed Lise’s application. He wrote a letter to his congressman complaining, but the congressman was dismissive and pointed out the embassy’s obligation to insure that this was not a marriage of convenience meant to get around U.S. immigration laws. Hedberg found out that the congressman was a conservative Republican and cited that experience as paramount in insuring his life-long allegiance to the Democratic party. Once the couple finally obtained the necessary papers and moved back to the States, Lise almost immediately wanted to get right back on the plane and go home because she hated the smog that permeated the Los Angeles region at that time. As it turned out, the Hedbergs stayed in Pasadena for more than five years, during which time Ken worked as a senior research fellow. One day a colleague in organic chemistry, Carl Niemann, stopped him in the hall to tell him that he had received a letter from an associate at Oregon State College regarding a position that had recently opened up in their Chemistry department. Niemann thought that Hedberg might be interested in this opportunity, on account of his Oregon State ties. Back in 1952, prior to leaving for Norway, Hedberg had written to Pauling that he considered himself “a Californian in spirit” and expressed an interest in settling permanently in the state. But now things were different: Lise detested the southern California air pollution and she was also pregnant. The idea of raising a child in that environment was deeply off-putting, so Ken decided to explore the possibility of moving back to Oregon. After investigating the OSC opportunity some more, Ken turned it down because he found out that the college was mostly looking for someone to supervise graduate teaching assistants and hold recitations for freshmen classes. It seemed unlikely to Hedberg that he would be able to get a good research program going in these circumstances, and he was not willing to give up his scholarly work. Thus encouraged, Hedberg decided to accept the position, and it turned out to be the right choice. Lise liked Oregon much better than dry, dusty California, because, as with Oslo, there were “trees in the forests and water in the rivers.” The couple made the move and so began a faculty career at Oregon State that lasted for sixty-three years. With its brand new building and innovative, well-funded research program, the Division of Chemistry and Chemical Engineering at the California Institute of Technology, under the leadership of Linus Pauling, was increasingly coming to be recognized as a model for chemistry departments and divisions around the country. This boost is stature is clearly evident in Pauling’s correspondence. In one instance, John C. Bailar, Jr., Assistant Professor and Secretary of the Department of Chemistry at University of Illinois, Urbana, wrote to ask about ways in which they could follow Caltech’s model to improve their own research and instruction. Likewise, Joseph George Cohen, Director of the Division of Graduate Studies at Brooklyn College, noted his ambition to “pattern [their] administrative practices on those schools which occupy a position of leadership in American Chemistry,” and asked how Caltech ran its laboratories and what responsibilities they gave to their PhDs and graduate assistants. Pauling was always willing to give his advice. Pauling’s recommendations were also commonly sought by other programs looking to hire new staff. Although his picks were not always a match, Pauling increasingly found himself in a position to influence the shape of research around the country. During the fall of 1938 for instance, Pauling recommended a professional colleague, Gilbert King, to fill a position at Duke University. King ended up going to Yale and then MIT instead. After learning that King would not be coming, Paul Gross of Duke again reached out to Pauling, asking for another name. Dr. Helmholz is a pleasant and cultured young man and is married to a pleasant and cultured young woman. His father is head of the pediatrics division of the Mayo Foundation at Rochester. Hartshorn responded that they were looking for someone for the following year and hinted that they may not have the facilities to support Helmholz’ research. Helmholz ultimately ended up at Washington University after working on the Manhattan Project during World War II. Pauling saved his second-tier recommendations for less prestigious institutions, like the Department of Chemistry at his alma mater, Oregon Agricultural College. In this instance, F.A. Gilfillan, Dean of the School of Science at OAC, was looking for teaching fellows in 1939 and was eager to receive any ideas that Pauling might have in mind. In response, Pauling recommended Robert J. Dery, who had taught at Caltech for three years but had not completed his doctorate since he seemed “for some reason to lack the ability to carry on experimental research.” Dery, according to Pauling, was also “slow spoken, so that in conversation with him one may become impatient.” This habit did not affect Dery as a teacher however, as he spoke very well in front of an audience and, in Pauling’s estimation, was a good freshman instructor. By April 1939, as the funding from the Rockefeller grant approached its second year, Pauling and Warren Weaver were still looking for someone to head biochemical research being supported by the grant. Pauling asked Weaver if he might further delay the hiring as no clear-cut match for the position had been identified. That June, the Rockefeller Foundation’s Board of Trustees, while discussing the following year’s budget, noticed that no one had been hired and questioned the need to approve the full $70,000 request for the following year. Ultimately the board agreed to the original request, but their hesitation to do so led Pauling to scramble. In the meantime, Pauling continued to deal with the more mundane responsibilities that were assigned to him as chair. These included a wide range of hiccups presented by the move into the new Crellin Laboratory. One specific issue was the need to make sure that graduate students could access particular areas of the facility – most pressingly the student shop – that were normally only open during business hours. To solve the problem, Pauling requested that a lock be made for the shop that matched the locks on Crellin’s entry doors so that the students could enter more easily. A much larger problem came to pass in August 1939, when a spark from a ventilating system motor ignited six liters of spilled ether in Crellin Room 351. Leo Brewer, who was in the room at the time, had been working with a twelve liter flask of ether on a ring stand. When he went to adjust the position of the flask on the stand, the bottom fell out of the flask. Brewer cleaned up the ether as best he could, but about five minutes later, as he wrote in his incident report, “suddenly there was a flash of fire which singed my hair, face, and hands.” He immediately left the room and “five seconds later there was an explosion which rocked the building” as the hoods sucked up the flames, igniting the ten gallons of ether in them. Students and stockroom workers equipped with gas masks and fire extinguishers combated the flames until firefighters arrived. In the midst of it all, a second explosion knocked over acid bottles, leading to reactions that produced poisonous gas. All told, the damage was assessed at $13,924.22 (the equivalent of more than a quarter-million dollars today). Laszlo Zechmeister with the Pauling family, 1940. While dealing with all of Crellin’s issues, Pauling also had to respond to increasing pressure from the Rockefeller board to find someone to head biochemistry research within the division. The more he thought about it, the more Pauling leaned toward hiring Hungarian chemist Laszlo Zechmeister, who had visited the previous fall. While current staffer Carl Niemann had shown promise, Pauling thought him too young to head the fledgling biochemical research program. Zechmeister, who was in his fifties, was arguably too old, but Pauling began to see his age as an advantage since he was certain someone would emerge from within Caltech itself to lead the program over the next ten to twenty years. Zechmeister had maintained a correspondence with Pauling since his visit, keeping him informed in particular of Hungary’s increasingly close relationship with Nazi Germany. Zechmeister also told Pauling that, if there were a position available for him elsewhere, he would take it immediately. Pauling finally offered Zechmeister a professorship in organic chemistry in October 1939, which was quickly accepted. The only sticking point was that the contract needed to stipulate that the appointment was for one year only, as that was the longest period of time that Zechmeister was legally allowed to leave Hungary. Sadly, Zechmeister’s wife became sick before they came to Pasadena in 1940, and died the following year. And ultimately Zechmeister would not return to Hungary, spending the remainder of his career at Caltech. Just two and a half years into his tenure as Chairman of the Division of Chemistry and Chemical Engineering at the California Institute of Technology, Pauling saw to completion a variety of plans originally set in motion by his predecessor A.A. Noyes, including the construction of a new building. With the onset of the Second World War, an influx of federal funding would create new opportunities as more researchers and projects filled out the division’s buildings. With observations made and lessons learned along the way, the war would also set the stage for Pauling to build off of what he had inherited and take the initiative in further shaping the division. Image of the Crellin Laboratory taken around the time of its dedication in 1938. Towards the end of the summer of 1937, Linus Pauling was confident that the Rockefeller Foundation would award a $300,000 grant to both the Division of Chemistry and Chemical Engineering and the Division of Biology at the California Institute of Technology. Indeed, so confident was Pauling that he requested permission from the Caltech Executive Council to leverage the forthcoming funds and begin spending immediately on a combined recording microphotometer, densitometer, and comparator. Once permission had been granted, Pauling secured the services of Fred Henson, who had constructed an apparatus of this sort for J. W. McBain of Stanford. Henson agreed to deliver a similar device to Caltech within one year for $2,600 — a thousand dollars less than he normally charged. Pauling also used $850 from funding provided by the British hydrocarbon company M. W. Kellogg to purchase a different instrument. These new purchases would be put to use in the nearly finished Crellin Laboratory, and staffing and outfitting the facility was an issue of pressing concern. While Pauling and Rockefeller administrator Warren Weaver were still holding out a sliver of hope that the Scottish chemist Alexander Todd would relocate to Pasadena to head the new laboratory, another Rockefeller-funded hire, Carl Niemann, was in the process of equipping and stocking the facility. As he moved forward with this work, Niemann put forth the suggestion that a “central analytical laboratory for the entire department,” with one person in charge, be identified to save space and minimize redundant equipment purchases. This shared laboratory would cost about $3,500 to $4,500 to outfit, whereas the cost of consumables at comparable four-person laboratories ranged from $1,200 to $8,000. Niemann planned to finalize these arrangements in the fall before leaving for a year-long trip to Europe. In December 1937, after years of negotiation and coordination, Pauling’s feelings of confidence were validated when the Rockefeller Foundation’s Board of Trustees finally approved the Caltech biochemistry grant. Funds would be dispersed beginning in July 1938, and would coincide with the Chemistry division’s move into Crellin. The proposed budget for the first year of the grant largely followed Warren Weaver’s earlier suggestion of $60,000, though Pauling made a successful push for an extra $10,000 to augment organic chemistry research salaries and equipment. When Alexander Todd, following a May visit, ultimately decided not to come to Caltech, the spending plan returned to $60,000. The following year, Pauling shifted the extra $10,000 allocation into hiring researchers and assistants while also purchasing more equipment. Amidst all of this progress, a test of Pauling’s commitment to his new position as chair arose less than a year after his official appointment. In March 1938, Arthur Hill, a chemist at Yale University, offered Pauling a Sterling Professorship, the highest professorial rank awarded by the university. Pauling’s proposed salary at Yale would be $10,000 and he would also benefit from the services of a private assistant. Pauling thought hard about the offer, at first replying that he would need a week to think about it. That week stretched into five, and ended with Pauling’s decision to stay at Caltech. In turning down the opportunity, Pauling explained to Hill that he had only recently become chair of a growing division, a circumstance that not only promised to open up new areas of research for himself, but presented him with “an attractive opportunity for contributing effectively to science” by shaping the development of the division. Hill was disappointed, but admitted that the research capacity available at Yale could not compete with what had been built at Caltech. Feeling more established in his new position as chair, Pauling wrote to Caltech Executive Council chair Robert Milliken in April 1938 that “The outlook for the Division during the next few years is very attractive, especially for the field of the organic chemistry of biological substances.” That said, Pauling was looking for further backing from upper administration. Pauling already had a promise in hand from Caltech’s Board of Trustees that $40,000 would be made available as a complement to the Rockefeller funds, but he wanted further reassurance from Millikan that the Institute would continue to support the division’s nascent biochemistry research well into the future. Buoyed by the momentum of recent months, Millikan was glad to offer this assurance. It is pleasing to note the physical union of this building with the new unit of the great William G. Kerckhoff Laboratories of the Biological Sciences, thus enabling Dr. Thomas Hunt Morgan and Dr. Linus Pauling and their associates literally to join hands in the search for, if not the elixir of life, a better understanding of vital processes, leading to better health and longer and happier lives. For his part, Pauling gave a largely impromptu address, noting how he would have to restrict himself as he was used to lecturing for an hour and not giving five minute speeches. Later, once the facility was up and running, Pauling asked Arnold Beckman to write about it for Industrial and Engineering Chemistry, Analytical Edition, the predecessor journal of today’s Analytical Chemistry. With Crellin dedicated and the Rockefeller grant in effect, Weaver and Pauling continued their brainstorming about who best to head research in the new laboratory. In the summer of 1938, Weaver mentioned to Pauling that Laszlo Zechmeister, a biochemist from Hungary who had developed chromatography methods to separate enzymes, was visiting the United States and suggested that Pauling invite him to Pasadena. Pauling obliged, arranging for Zechmeister to give three lectures on chromatography, carotenoids, and polysaccharides in November. As it turned out, Pauling was impressed by the quality of Zechmeister’s presentations, and began to think more seriously about hiring him following a weekend trip to Mexico that he and Ava Helen took with Zechmeister and his wife. Pauling’s estimation of Zechmeister rose in particular once he had learned more about the extent to which Zechmeister had managed to produce as a scientist despite working in a poorly equipped Budapest lab. Though Zechmeister departed from Pasadena without a formal job offer, he would soon become an important figure at Caltech’s new research facility.